Simply Silhouette: Your Story Blog Hop! Welcome to the first Your Story Blog Hop! with this little teenie tiny Your Story machine. "Hmmmm....where can I get me one of those?" on December 13th at 2AM EST. my little Your Story out of the box. your creation with those that you are singing for. 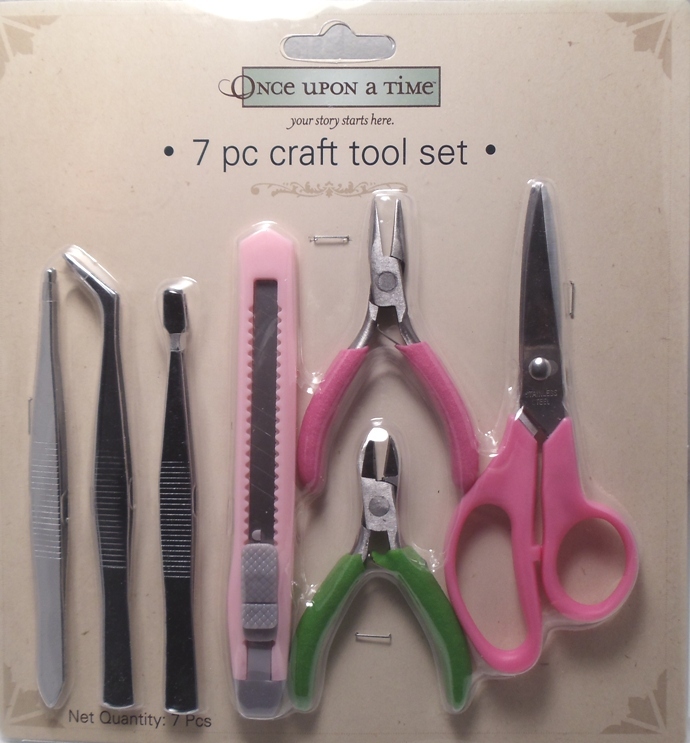 to win this 7 piece pink tool kit. this Hop and inviting me to join! one pink tool set you only need to have one comment. What a cute book. I caint wait to get your story. There is so much you can do with it. Make special books for special people in your life. Brag books for grandma, special pictures for your daughters or sons or friends. Special receipes for your friends and family. Enjoyed the blog hop so easy to go through and everyone had great ideas. The book is simply adorable!Lots of detail! I also Love the blog candy you are giving away! Have a fantastic day, I'm off to work! Lucky me! Wow! This is neat. I had no idea when I looked at the first picture. Your book is wonderful! Love your book! I have enjoyed this hop and gotten lots of new ideas. Hi am a follower just not signed in. I love your book of christmas songs what a wonderful project. I got your blinkie now i can visit everyday. Hi, new follower here. I just love your carroling book idea!!!! I have really enjoyed this hop, you are all very talented. Thanks! Merry Christmas to you and yours. I am a follower and love your blog. Thanks for sharing you great carole book. Nice job and great idea. Love that little album--cute cover! I am a new follower and love your ideas. Thanks for the chance to win this cute set! Super cute! I love the embossed cover! Awesome! What a great idea. I am now a follower and can't wait to see what you come up with next. Thanks for sharing with us. I LOVE this idea! My students would love these! Wow! What a great idea! Thanks for sharing it. This has been my first blog hop and I must say I've so much inspiration I really want to just craft all day now! INCREDIBLE! This has been a very inspiring blog hop. Can't wait until I'm caught up enough to have time to play with my YourStory. 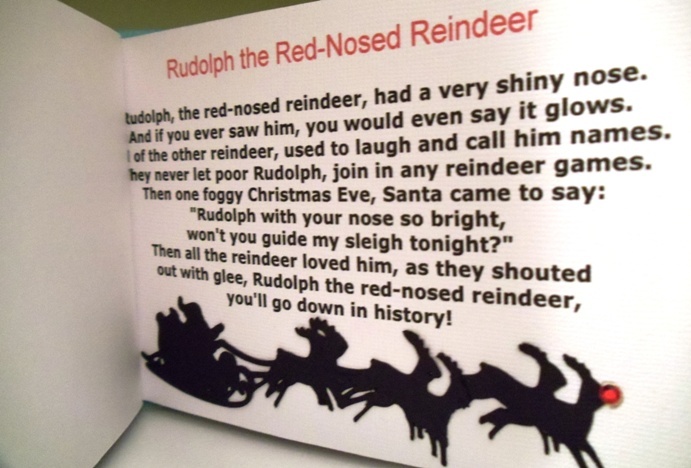 What a very cute little caroling book! Thanks for sharing and a chance to win!! Great project. It is alot of work for you. I love it and thanks for your time and effort. 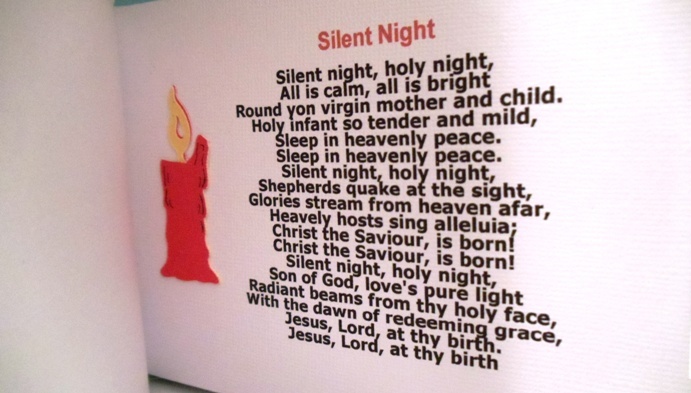 My goodness... love it :) I was just laughing listening to my 16 year old sing Christmas carols and forgetting the words!! SO adorable! I am a follower! Another great idea. So cute. Thanks for sharing. What a great book idea, it is simply adorable! What a great idea! 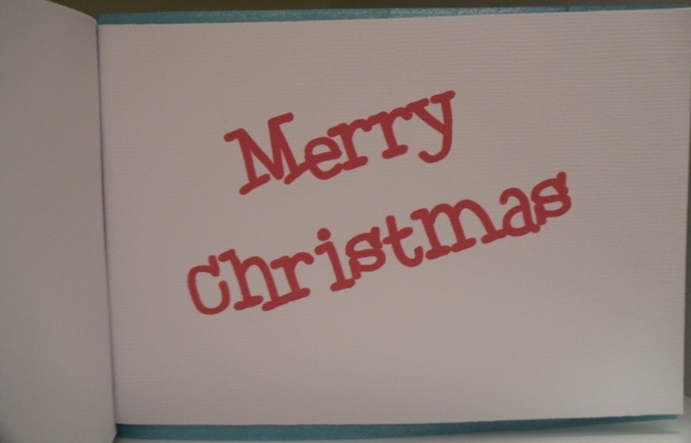 My husband's family sings Christmas carols before opening gifts, and having the words in front of us would be great!! TFS. This is cool ! LOVE all the cuts you have on the inside. Very cute idea! That would make a great gift for a child too! That is awesome! I never would have thought of that! Thanks for sharing! Love the entire book! The embossed cover is gorgeous - such a great idea! Thanks for the chance to win too! Love this book. Wonderful idea. What a great idea! So cute. Thanks for sharing! Your Christmas Carol Book is the bomb!! I never thought of such an idea and this is wonderful. 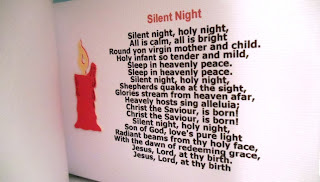 My mother is in a nursing home and carolers have all come through, but I noticed several did not seem to know the words.......this would have been a great reference tool and also useful for residents who want to sing along but may not remember the words either. TFS! What a great idea. Just became a follower. what a cleaver idea. You did a nice job. O I LOVED everything... Had a WONDERFUL HOP.. So cute, I love the little song book. Thanks for the chance to win. Got all the blogs on the hop finished, loved all the projects and I want one of the Your Story machines so bad, but I am going to have to wait a little till my budget loosens up a bit. LOVE the songbook! What a great idea. Thanks so much for sharing and for the chance to win too! that would be a great project for a class of students who can't remember the words to songs. Great Idea! So cute! What a great idea, a book for songs. Love it. Love your caroling book! What a great idea! Thanks for sharing and playing along! Great idea! Wonderful keepsake! You could add notes too that say, this one is dad's favorite, etc. Pass it on down to the next generations so they know. Super cute! I love the embossed cover! Wonderful keepsake! Super cute! Love the idea of a song book! How perfect for this time of year. OMG...how adorable is your book! GREAT idea!!! Really cute book and such a great idea! Thanks for sharing. Your book is adorable and what a fabulous idea, I always start out singing and end up humming!! Thanks for the hop and Happy Holidays!! 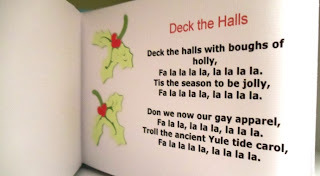 I love love love your Christmas Carol song book - what a neat idea! You did an awesome job. I'm already a follower. Thanks for sharing your project. Wow another prize? I really like your little song book. It turned out quite proffessionally made! I love the colors and the ribbon. Thanks a bunch. I'll follow you now, so I'll be back. What a neat idea!!! Love it. 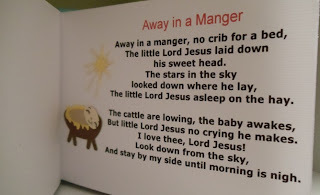 My kids would love to have a little book with the verses to some of their favorite Christmas songs. Thanks for the idea. Gonna have to get me one of these machines. The song book is adorable and such a great idea. Such wonderful detail as well. Thanks! The blog candy looks great too. Great idea!! It would be so neat to make these!!! Thanks for sharing!! 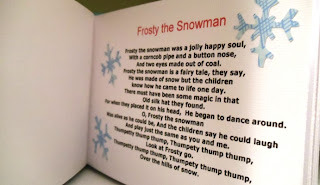 Now that is the cutest song book I've seen! I would love this book.. I love xmas songs.. I love he front its very nice.. thanks for sharing.. I love your work. This is such a darling book. Thank you for sharing. What a wonderful idea. TFS. Wow! 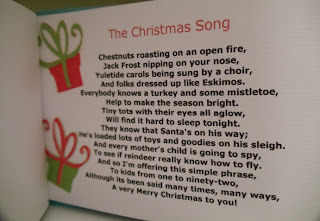 This would be a great idea for a Christmas caroling group or for family members who sit around the fireplace singing carols on Christmas Eve. Great job! Oh, this is a fantastic idea!!! And so cute too! Thank you so much for sharing...I love that each page has its own lil die cut!!! That is such an awesome idea!!! Christmas music is one of my favorite things about the holidays! TFS!! awww how adorable! How cute, I love the paper and such a cute idea! Very taleneted! Thank you for sharing! What a great idea and I love the song and how you decorated the pages. Oh my gosh! How fun would something like this be for the classroom too. Your little book is is sooo sweet!! I just love it!! Thanks to you and all the other hostesses too. Thanks to Sarah for organizing it too. it reminds me of a Pumpkin Caroling booklet I made many years ago...I could make another one with the YourStory! I love the fact that you can emboss those covers!! 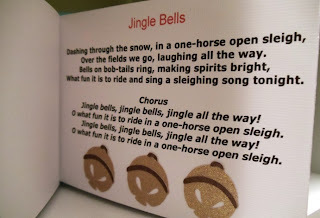 Great idea on a caroling booklet. What a great idea. My kids would love this. Thanks for sharing. This is precious. Thank you so much. Almost have my mind made up. Wow, I love your book. What a neat idea. This is such an adorable idea! It turned out beautiful. I love the ribbon that you used. Your song book is so cute. What a wonderful idea. I have the big binder and after seeing all the posts on my hop am thinking I need to get it out and play. Thanks for a chance to win the 7 piece kit. Awesome give away. I would love to win the grand prize too. I am a new follower but I will be back. Your song book is one of my favorites from this blog hop. I love it. OMGoodness this is sooo creative & festive! Great idea & it turned out beautifully! I was just saying the other day how I wished people would go caroling. I just love this! Your project is adorable! Thanks for sharing. What a great idea! There are so many possibilities with this little machine. Thanks for sharing! Your songbook is so pretty. This is a great idea for the Your story.ne now. I have to have one now. What an awesome idea! And so cute and well-done. Grabbin' your Blinkie so I can come back and visit! How gorgeous is this CHRISTmas carol book. I love everything about it. What a brilliant idea! It turned out so cute!!! What a great idea! I LOVE it!!! If I ever get a YourStory, this is one of the first things I am going to make. So cute!!! Thanks for the inspiration!! The blog hop was great! thanks so much for this great idea! I have become afollower! What a pretty little book! I love the colors of the cover and all the details on the pages. I am a new follower. Thanks for the chance to win great blog candy. 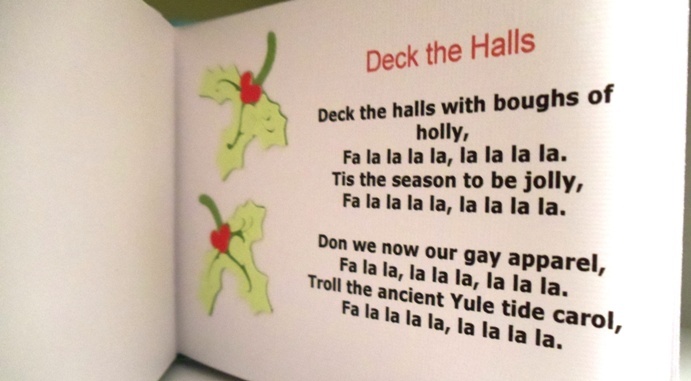 Love your delightful Christmas Carols book. What a great idea. I had no idea that little machine makes such a nice bound book. Thanks for a chance to win some awesome craft goodies. What a very cute idea. You did an awesome job. Thanks for the hop and giveaway! Thank is a GREAT idea, love it!! Love the cover also! TFS! I love your project. I have a Girl Scout troop. This is an idea I could use with my girls. Oh wow this is such an amazing idea. I can't wait to get my big one.. but maybe I need the little one too! Gorgeous Christmas Carols book! I love the embossed cover and awesome details! I am a follower. Cute book! Love all of the Cricut cuts! 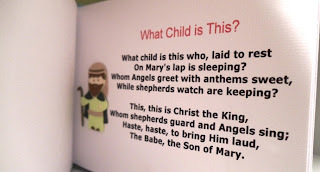 How great for kids going Christmas caroling. What a wonderful idea!! Merry Christmas! Such a cute idea! Now I'm going to have to make one! What a cute book. Thanks for sharing, and for the chance to win. Very cute. Love the embossed cover!! This is my favorite idea so far! Our homeschool group will be heading to a local retirement community next week to go caroling! Our kids would love these. Guess I need to get my own YourStory and copy your idea...HSN here I come :) LOVE IT! Thanks so much! I'll definitely be checking out the next blog hop! Such a super idea. Thank You for the idea and sharing your project. Thank You also for the chances to win great prizes. So clever! I love your song book!!! 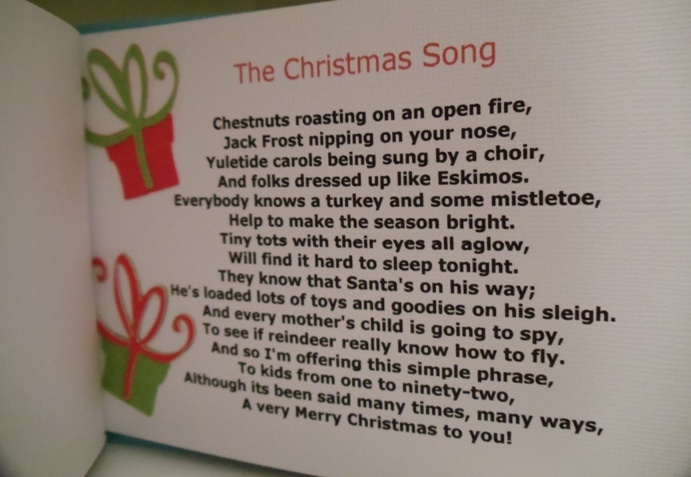 :) We can't get enough of the Christmas carols and my children love to sing along...I'll have to make one. very very cute and what a great idea. We were just talking about singing christmas carols last night and we sure could have used your cute little book. What a wonderful idea!! Very smart! TFS!! I am a new follower now!! Original idea, I love it! AWESOME idea. I'm so excited to use my machine now! Great idea for a book. I'll be a follower and will be back for more ideas. I'm really enjoying the blog hop. Great carol book, how fun! hmm.. I ve been thinking I need a bone folder! Christmas Carols... what a great idea! 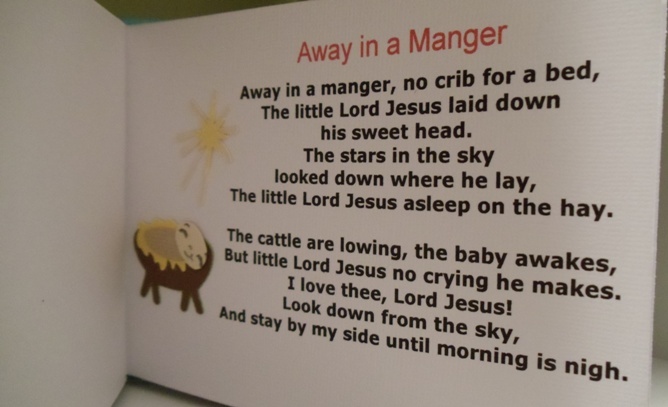 We used to have a book full of carol lyrics when I was growing up, but it was way too big to carry anywhere. This little book would be perfect. I just love my bone folder... don't know what I'd do without it. And a second one to put in my "to-go" bag would be awesome. Plus it's pink - what could be better!! I really love the pink bone folder. I do wish they would start coming out with different colour tools like they have with the Expressions. Bring on the purple. Thank you for the chance to win. I'm Back, I could really use the pink bone folder the one I have is the one that came with the Scorpal and it's a little one! Thanks and Happy Holidays!! LOVE it!! What a great idea!! Thank you for sharing! I am a follower now on your blog...been a friend on FB for a while!! I think we started our blogs the same time and I still haven't done a thing with mine! You are doing AWESOME!! I love the idea of a caroling book!! This is why I love these hops so many GREAT IDEAS!! So loved this hop!! Thank you all! oh and the second piece of blog candy is awesome! Love your song book...too cute.. I just became a follower..Would Love it if you could check out my blog. The second blog candy looks wonderful too. Loved your project yesterday and love your blog candy. That pink bone folder is really cute! Thank you for the fun blog hop and love your projects. 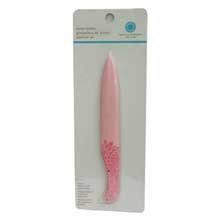 I love this pink bone folder and could really use it. I've been a scrapbooker but really just discovered how much fun card making can be. I'd love to give this tool a new home! Back again for the second day!! TY for the opportunity to win again! What a great book! 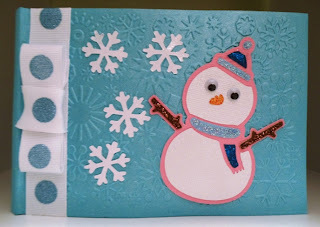 Thanks for sharing your talents on the blog hop! Oh...and I do love the pink bone folder! The book is adorable! Thank you for sharing! That pink bone folder ROCKS!!! Your carol book is just GREAT ! What a wonderful idea !! This is the cutest thing I've ever seen! I would just love to make a recipe book for my Grandmother! Her holiday dishes feed the soul and just make the holidays that much more special. I love me some pink! :) can't tell on my blog can you? LOL I love the idea of a song book! wouldn't that just look too cute for a choir! wow!!! I really enjoyed being in the blog hop with all of you! If you plan another in the future, please let me know I would love to participate with you again. What a great mini. I love the idea! This is a perfect book, it seems I am looking at it on a stores shelf or something.. this is so WILD!!! This details on your book are fantastic ... I loved it and thanks for the chance to win. 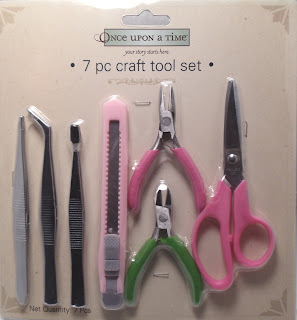 Love the tools and they are PINK who does not love pink! What an original idea! I love it. Thanks for the inspiration. This is a really neat book. 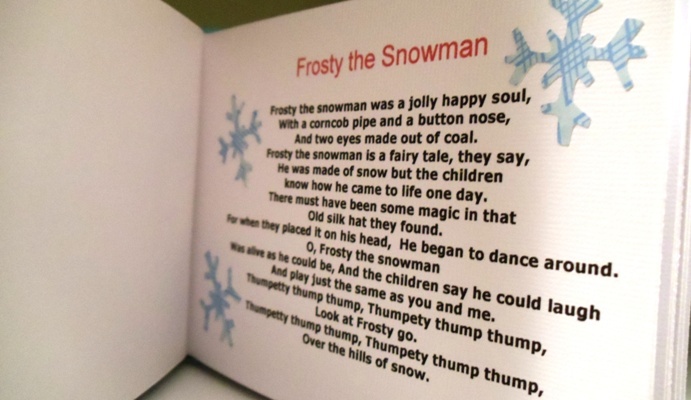 For those people who still go around Christmas caroling this would be great to give to each person as both a song book and a keepsake. Love it! 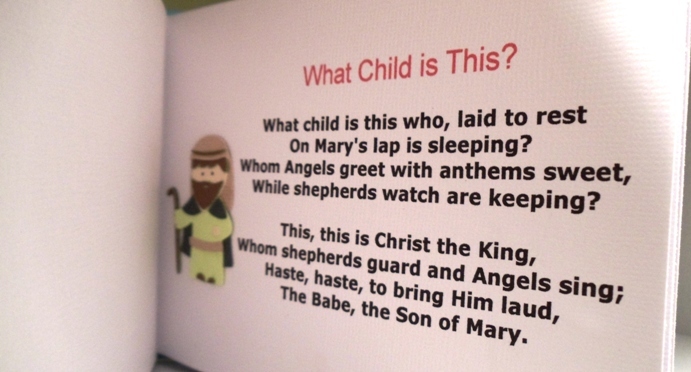 What a great idea making a book of Christmas carols. I am one of your followers. Hey what a great idea to give to kids who may not know the words to the songs.. and they can keep it afterwards too! That came out so cute!! Such a good gift idea!! TFS!! Take Care!! I actually don't have a bone folder I use something to sculpt clay :S TFS!! Take Care!! 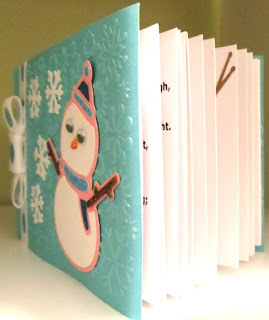 I love your Christmas song book... such an awesome idea!! You are very creative! !